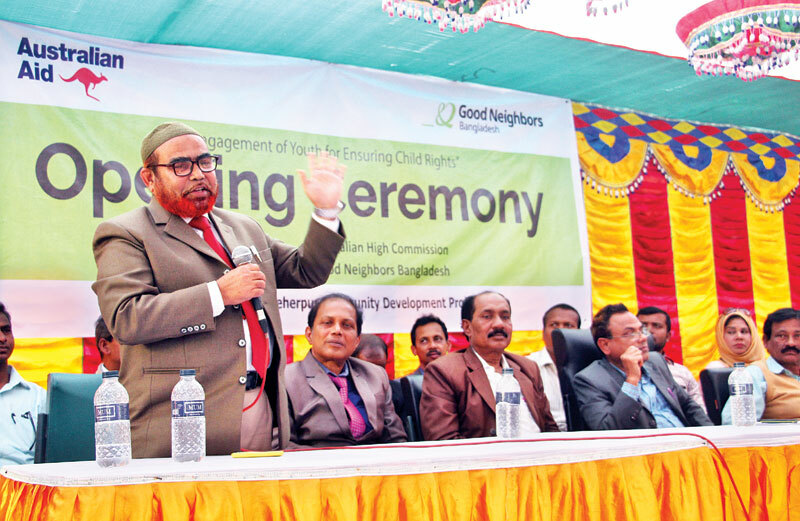 MEHERPUR, Feb 13: Good Neighbours Bangladesh (GNB) and Meherpur Community Development Project (CDP) organised an inaugural function of a project named "Engagement of Youth for Ensuring Child Rights" in Bollovpur Village under Mujibnagar Upazila of the district on Tuesday afternoon. Simanto Chisim, manager of GNB under Meherpur CDP inaugurated the project. Among others, Rafiqul Alam, president of Meherpur District Development Forum and general secretary of Meherpur Press Club, Anwar Hossain, Mujibnagar Upazila secondary education officer, Biplob Kurmar Kunda, Mujibnagar Upazila youth development officer, Ayub Hossain, chairman of Bagwan Union Parishad, and Remo Roney Halder, GNB, head office representative were present as guests. Australian Aid is funding the project with the aim to improve community awareness on child rights, engage youths on child rights protection and enhance community responsibility of the youths. 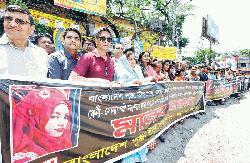 Nearly 200 community people were present in the programme. All the youths present took oath for the development of the country.